A couple years ago, I received a vise from my wife’s grandfather. They moved out of their house and he said I could take whatever tools I wanted. 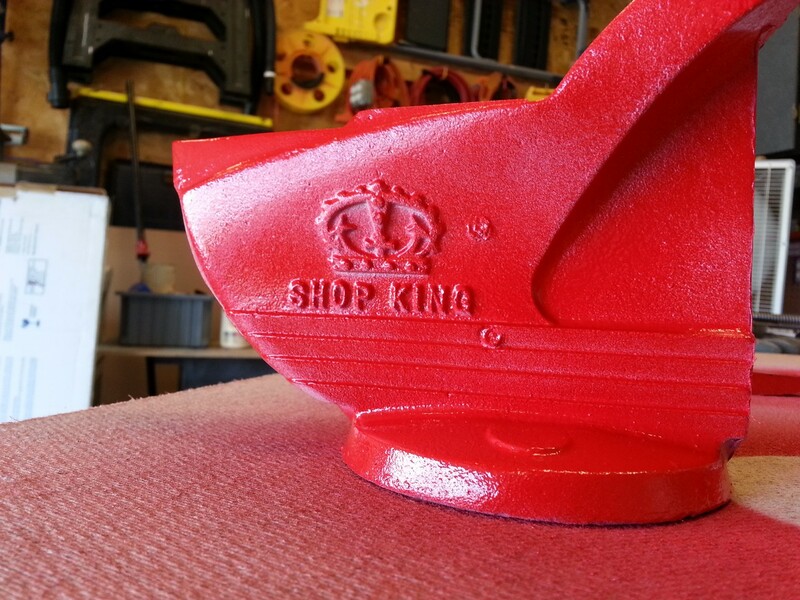 Unfortunately, there was not much, but I did take his old Wilton Shop King vise. This vise dates to the mid 50’s, and I believe that he purchased it new. 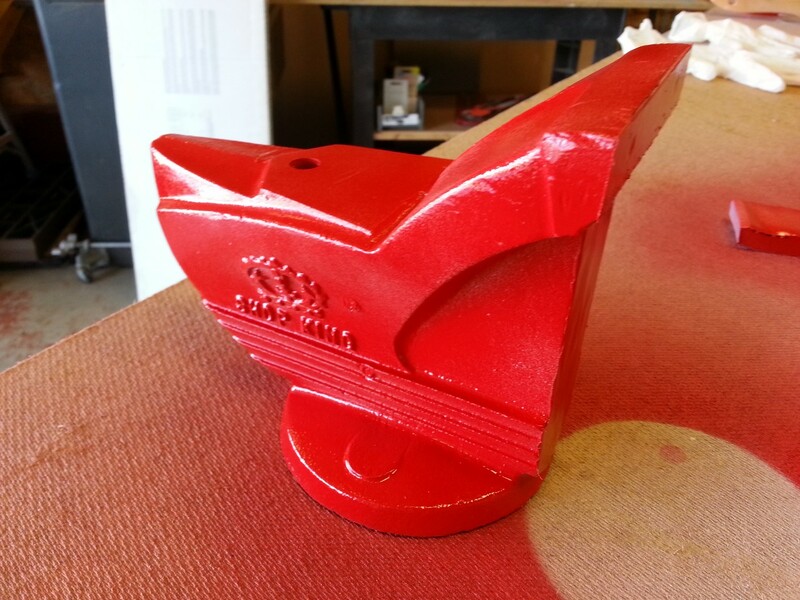 I did some research and came across Junkyard Tools that has a good write up about Wilton’s history and this vise. It appears that my 41/2″ Craftsman was made by Wilton also, that was a surprise. 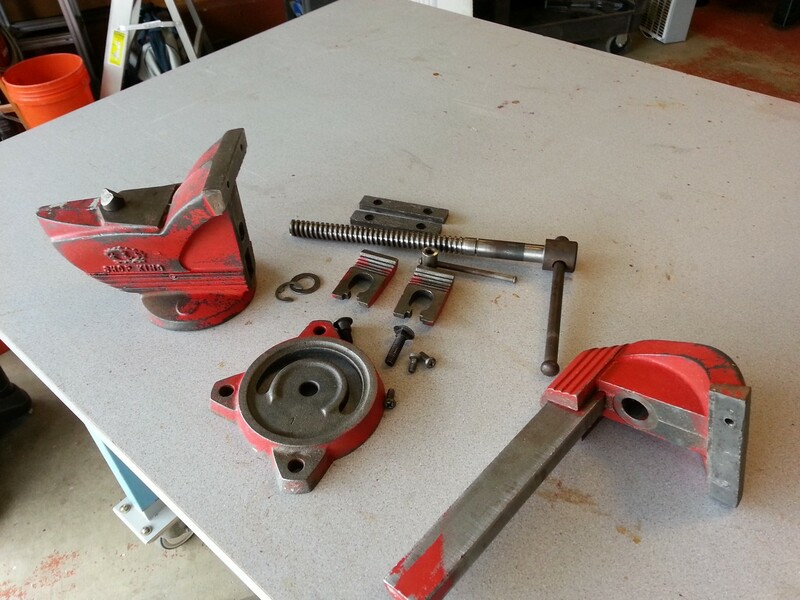 To get started on the restoration, I completely disassembled the vise. I found that one of the jaw inserts had a sheared off screw, so that was next. 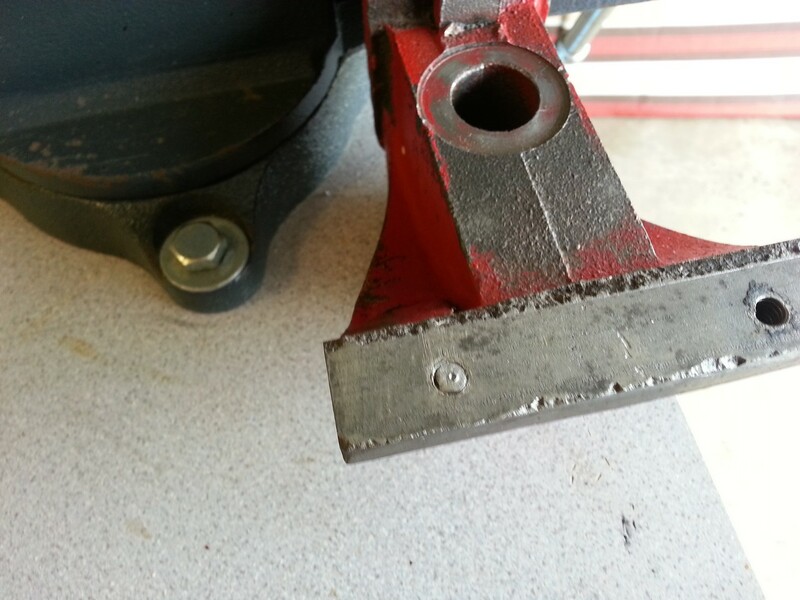 Now that the broken bolt has been removed, time to clean off the years of grease, oil and paint that has accumulated on this vise. 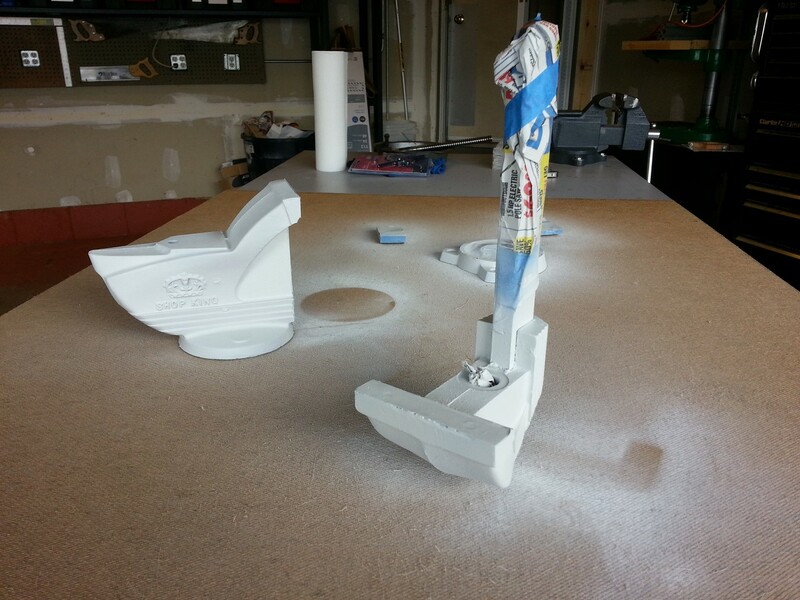 I used Super Clean with a wire brush, putty knife and rinsed with a lot of water. After it dried in the sun for a while, I masked off all the areas that should remain paint-free. I just used some blue painter’s tape. 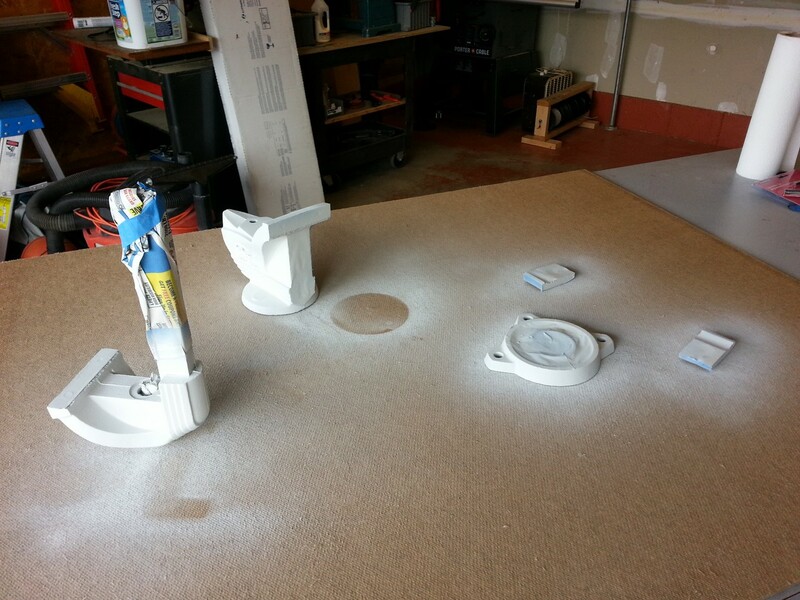 I then applied a few coats of a white primer. 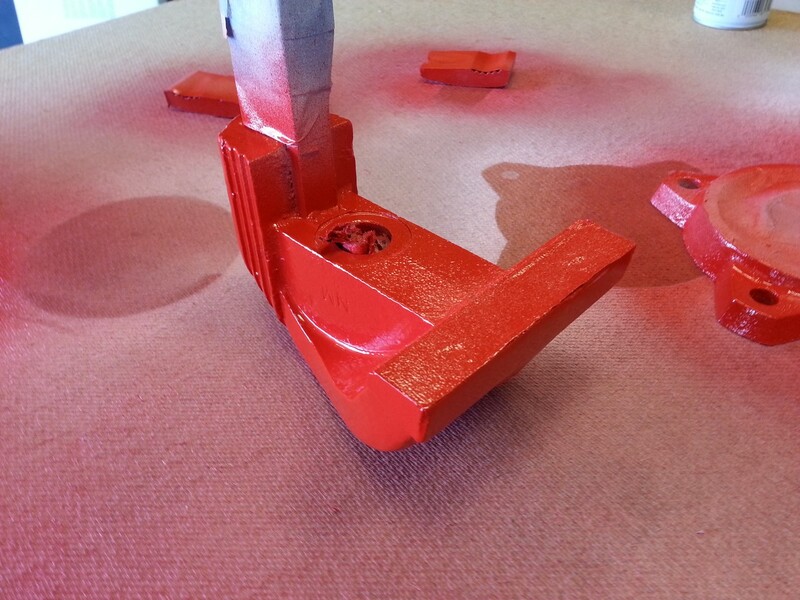 I probably should have used a darker color primer, but this is what I had on hand. 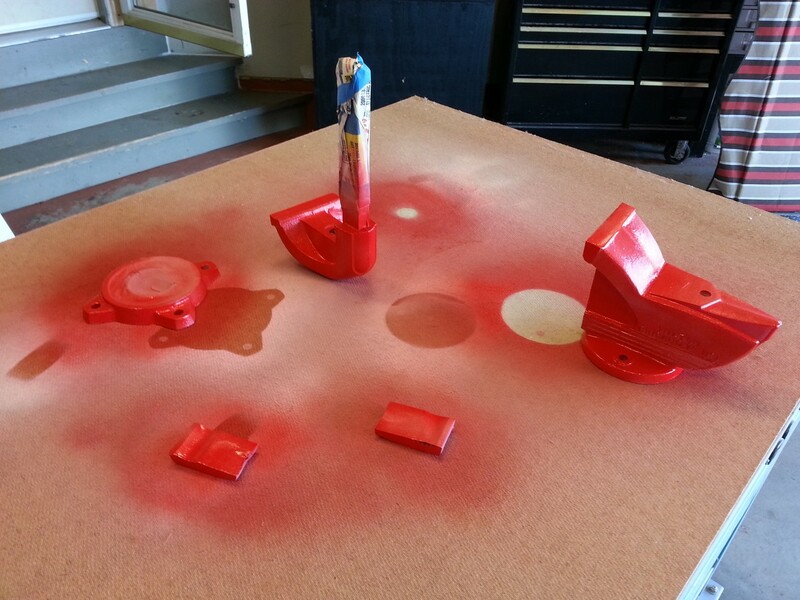 After that dried, I sprayed one (of several) coats of a fire engine read paint. The pictures above were taken after a single coat, and at that point it looked almost pink, with some white showing through. I laid down three coats total. After it cures all week, I will assemble it and complete the project. 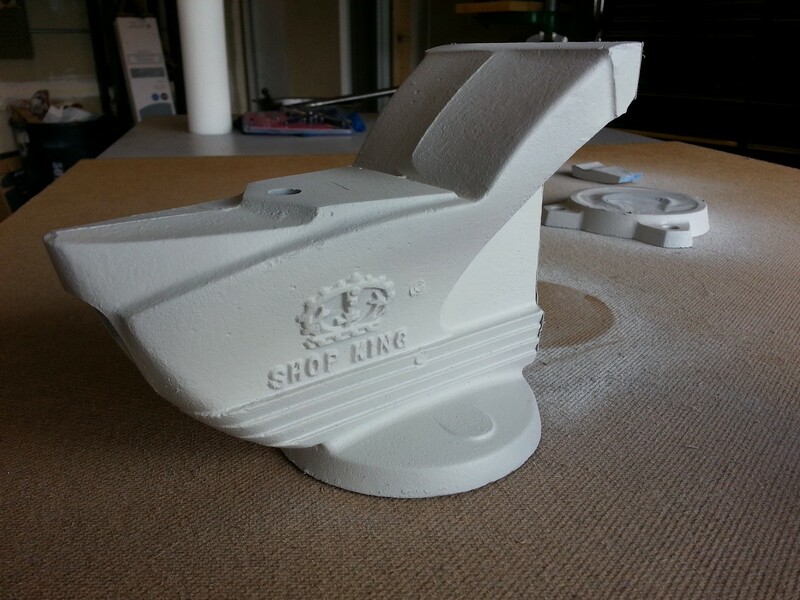 I have an old shop king as well. Can you provide me with a picture of how the washer and fastener ring go? 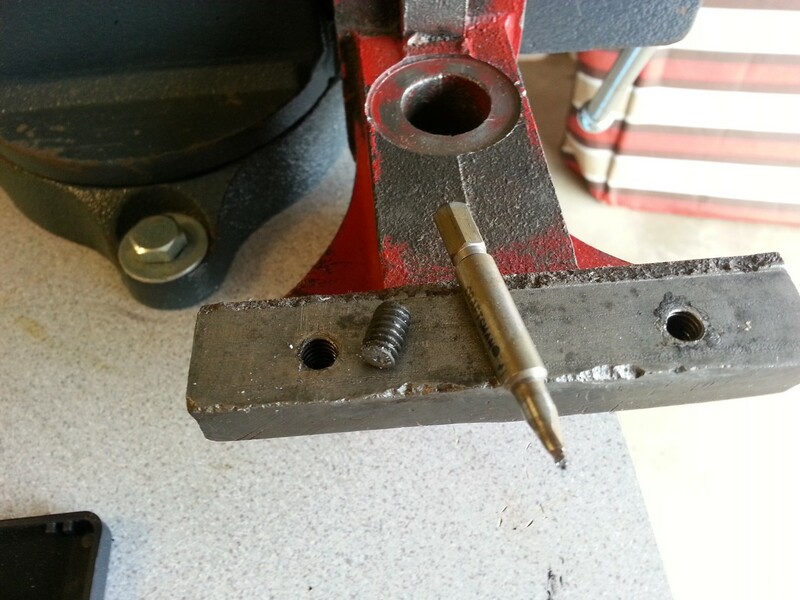 My vise will close fine, but will not open the vise when I turn in counter clockwise. I have to pull it out. Click the link above to see part two, the completed project. 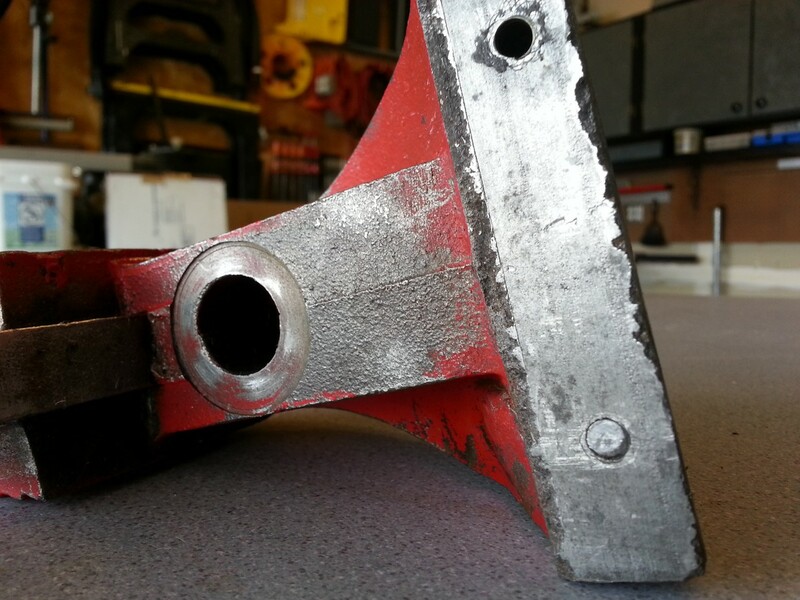 In that series of pictures, it shows the assembled vise.